Sail from the port of Cagliari, going east toward the promontory called " The Devil's Saddle" which separate the city from Poetto beach. Full of caves and beautiful coves like Cala fighera and Cave of Pigeons are the areas where, once anchored, you can enjoy the crystal clear waters for a relaxing break. Wear layered clothing , shoes with clear soles. Available daily unless adverse weather conditions. Trips available daily unless adverse weather conditions. Surprise your friends or your partner with something special. Boat & Breakfast Cagliari offers you a chance to make an anniversary, a special event or a party with friends something unique and unforgettable. You can celebrate with your partner with a romantic dinner and bubbles, with the boat at your personal disposal. 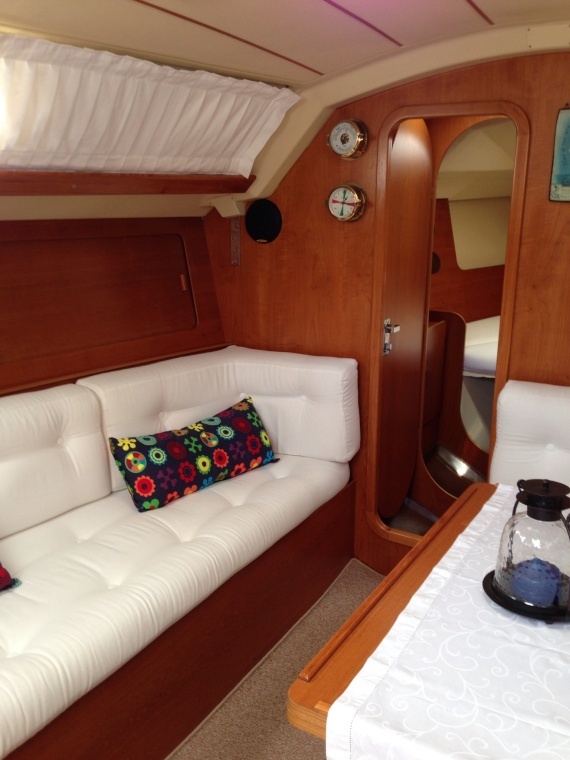 Or you can organize a meeting in the boat for your business or for meeting people who you wish to surprise with the wonderful atmosphere of the sea and the port of Cagliari. On our Comet we often organize other celebrations, such as hen/stag parties, birthdays etc. A night in a boat docked at the port of Cagliari in the central Via Roma, in the heart of the city. Sparkling wine, chocolates and sweets as a welcome aboard. Romantic dinner for two with a special tasting menu. Parking avaiable inside the port.